Posted January 22, 2018 by James Gawthorpe & filed under Holidays. It sounds so simple, to take a break and to let other people do the work for you but that is what our guests and lodge owners have come to expect from us at Cedar Retreats and rightly so. When people come to stay we want them to relax and to unwind. We are a countryside Retreat offering the chance for our guests to take a step back and to enjoy a slower pace of life, which can often seem so far removed for many of our visitors who have stressful jobs or work in the city. Whether its Leeds, Manchester or even London, when guests arrive at Cedar Retreats we can see that the location is just what they were hoping for; nestled next door to a small village with easy access to larger amenities if that is what people require. Having the best of both worlds means that we are able to cater for those that want to jump into the private hot tub and forget about their busy and hectic lives or those that would prefer to explore and to enjoy some of the many leisure activities that are on our doorstep. Never taking for granted the feedback we receive, we are often overwhelmed by the responses we get including the number of 9* plus ratings that we achieve through the Hoseasons Autograph range, who we work with to let the luxury lodges throughout the year. When choosing a lodge, we always recommend that our guests take the time to read the online reviews, after all that is what they are there for. Of course, there is always a balance and the countryside isn’t necessarily for everyone but, in the most part, we know that those who stay with us are looking for peace and quiet and that is what we can offer in abundance. When you walk around the lake, which is right in the middle of the park, you get a sense of calm and tranquillity. Listening to the ducks quacking and the wind blowing in the trees, there is little that you can do but admire the view and let your shoulders drop. The lodges are each designed to be welcoming but also practical. We appreciate that with people coming and going we need to have the right balance of soft furnishings and hard-wearing fabrics and people often comment about just how welcoming, modern, bright and light the spaces are. Warm and cosy, each lodge is different but they all have one consistent theme; quality. When our guests come to stay we hope that they will do two things; return and recommend to their friends and family. Thankfully that does seem to be the case and we are now welcoming the same people back time and time again, which is a lovely endorsement. Next time you want to get away from the stresses and strains of everyday life, consider Cedar Retreats. Our park manager summed it up perfectly when he said; Retreat, Relax and Return. We couldn’t have put it better ourselves! We look forward to welcoming you during 2018. Posted January 17, 2018 by James Gawthorpe & filed under investment. Last year at Cedar Retreats we welcomed more guests than ever before as the staycation continued to attract holiday-makers that want to enjoy several breaks throughout the year, rather than an annual family holiday. We also had more investors than ever before as people recognised the benefits of owning a luxury lodge. With no fewer than six sales in the last twelve months, we have seen how property investment is changing. No longer are bricks and mortar the only option – or indeed, for many, the preferred. Providing one, two and three-bedroom luxury lodges means that we can create a space that is right for the people that are choosing to purchase a property at Cedar Retreats. We work with our owners to come up with a specification that will be large enough to accommodate their needs whilst also delivering the return that they are expecting. With no stamp duty to pay and no council tax the lodges are considered an investment that can supplement the income of our owners. Delivering a return of upwards of 9.2% we know that the figures make for interesting reading, particularly for those that have also explored the process for purchasing a more traditional property. 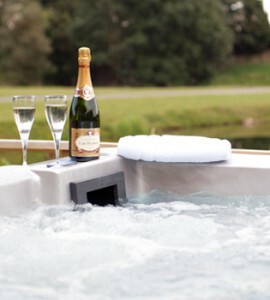 Some of our owners choose to buy to let, while others prefer to use the lodges as a second home. Either way, what is consistent across all of our properties is the quality and attention to detail that we put into each and every build. We have worked with the same designers, architects, builders and tradesmen for the last five years, giving us the confidence to know that they deliver the same quality and have the same values as we do. In addition, we have an onsite interior designer allowing us to offer advice and guidance that is tailored to the customer. Naturally, if someone wants to use a lodge as a second home then the recommendations we make will be slightly different to those that we will offer if the property is to be offered as guest accommodation all year round. Every single lodge we have on the site is welcoming and many people comment that they feel ‘at home’ as soon as they step through the door, which is exactly what we hope to achieve. If you are considering investing in a property, then why not explore the benefits of a luxury lodge? There is no harm in having a coffee and a chat and it may just be the investment opportunity you were looking for. Posted November 27, 2017 by Lindsey Davies & filed under Third party endorsement. The positive feedback we receive and the repeat visits from our guests don’t go unnoticed here at Cedar Retreats. We all work really hard to make sure that those who visit our luxury lodges have a relaxing time and that they enjoy their stay. Although we do our own checks to make sure that everything is as it should be, we also receive an independent rating from Hoseasons and we are very pleased to announce, as one of the highest scoring sites in the country, we have achieved a 9.4/10. The rating provides a score against location and surroundings, helpfulness of staff, value for money and overall holiday experience and this is then collated to give an average. We would like to take this opportunity to thank all of our guests who have taken the time to provide a review or rating. Cedar Retreats has been one of Hoseasons best rated high-end lodge holidays in the UK for a number of years now, which is a huge achievement and not something that we take for granted. Senior Brand Manager at Hoseasons, Dan Cook, said: “It is very rare for a holiday provider to accomplish a score of 9 or above. We have only a handful of lodges listed that achieve this rating and perform exceptionally well. The positive feedback we receive from guests that choose to stay at Cedar Retreats is a real showcase of the commitment of everyone involved in the business. We’ve seen an increase in year-round bookings of the lodges during 2017 and although we put some of that down to the popularity of the staycation, we have also seen an unprecedented number of return visitors. Equally, we have seen some of our holidaymakers become home owners, as they choose to purchase a lodge and benefit from the rents when they are unable to enjoy a break. There is no doubt that these decisions have been influenced by the positive feedback that we receive and once again we would like to thank all of our customers for their ongoing support and positive reviews. Posted November 24, 2017 by James Gawthorpe & filed under Holidays. When you think of Lonely Planet, it’s easy to imagine some exotic far-flung location, but the leading travel guide has pinpointed a destination that is much closer to home and is becoming increasingly popular. Yes, Yorkshire is among one of the UK’s hotspots that tourists are choosing for short vacations and longer holidays. According to the editors of the guide, footfall to the region has increased thanks to a combination of “concerted marketing and the collapse in the value of the pound in the wake of Brexit”. It is a trend we have witnessed first-hand, having reported a record 2017 here at Cedar Retreats. Due to the ongoing disputes around Brexit and the wider global economic impact, the price of the pound has fallen against the dollar, which means that holidays abroad are expensive and breaks in the UK offer better value for money. While as a nation we patiently wait for a true picture of the economic and political landscape to emerge, more price conscious couples and families are opting for holidays closer to home. The staycation trend is nothing new, but the luxury lodge market has certainly been bolstered as a result. During the last 12 months, we have seen an increase in the number of investors who are opting to purchase a second home in the UK, securing the rents that this can deliver. The feedback that we are receiving from owners is that they like the balance of knowing that their investment is safe and delivering a potential yield of 9.1 per cent per year while giving them a holiday home to escape to as and when they want. While some people may be surprised to learn of Yorkshire’s appeal, it comes as no revelation to us. As we have been in Yorkshire since our childhoods, we are extremely proud of the county we call our home and truly believe that the region has something for everyone. Take for example our location nestled in the heart of the beautiful North Yorkshire countryside, the retreats offer the ideal bolthole for those who want to enjoy a tranquil break in stunning surroundings or a wide-range of adrenaline fuelling activities. Depending on how energetic you are feeling and the reason for your break, you can take a stroll into the village of West Tanfield, which is located just five minutes away, take in the ambiance of one of our two village pubs or head further afield for something more energetic such as climbing, abseiling or even a rollercoaster! Yorkshire is deservedly now recognised as a must-visit destination by travellers across the globe. Following on from the Lonely Planet news, we see the region’s popularity taking on an upwards trend. If you would like to learn more about the luxury lodges here at Cedar Retreats and how you don’t have to settle for a holiday but could invest in a home, then please do give us a call. We would be only too happy to help. We look forward to welcoming you sometime soon. Posted October 24, 2017 by Lindsey Davies & filed under investment. The Met Office is predicting record-breaking temperatures with thermometers expected to hit 20C and above across the country this weekend. Whilst most sun-lovers will be applying the sun cream and basking in the warmer weather, the wider implications could see those who were pondering a trip abroad revisit their plans and instead opt for a staycation. Recent research commissioned by Barclays1 shows that more than a third of Britons will take a break in the UK this year, and a further 21% will choose a staycation as their main holiday providing further insight into the growing trend to holiday closer to home. It is not all about the weather, as uncertainty continues to plague the financial markets following recent election results, ongoing disputes around Brexit and wider global challenges, the price of the pound continues to mean that holidays abroad are expensive as the pound falls against the dollar. Posted October 23, 2017 by James Gawthorpe & filed under investment. Cedar Retreats, the luxury Yorkshire based development with planning for 37 high-end cedar clad holiday homes, has reported an increase in the number of properties sold as rental investments, with many customers citing the ongoing popularity of the staycation as a deciding factor. Reporting a record start to the year, with four sales in as many months, the business believes it is benefitting from the rising cost of holidays abroad and the increasingly complex security checks at airports and ferry terminals. 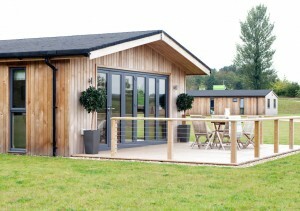 As Cedar Retreats attracts holiday guests all year round, with annual rental returns showing a yield of up to 9.1%*, the company has attracted attention from London and the South of England as property investors look to purchase a second home that can be used for holidays and to supplement income. Investing in property is nothing new however entrepreneurs up and down the country are recognising that they can turn their holiday homes into a business without giving up their day job, with figures showing that a return on investment of more than 9 per cent per year can be achieved. As the pound continues to fall against the Euro and dollar, which in turn means the cost of foreign trips abroad increases, many more families are considering several short breaks within the UK rather than an annual holiday as was once the norm. As this shift to the staycation has driven rental interest in leisure parks throughout the UK, it has also provided further rationale for those considering investing in a property to turn their attentions to a holiday home, as opposed to a typical residential buy to let option.